For the most hardened marathon swimmers, doing 5 consecutive ocean swims of 3.86 km on 5 different islands on 5 different days in Hawaii is not that big a deal. It is not even much of a training. But that all radically changes when those five ocean swims of 2.4 miles are sandwiched between daily 112-mile (180 km) bicycle rides across scorching hot islands against oncoming winds and a marathon 26-mile (42 km) run along undulating courses sometimes through lava fields, then the event can be defined as epic. 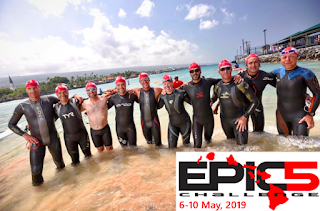 The EPIC5 Challenge was founded in 2010 by Jason Lester when he and Rich Roll completed 5 full Ironman distance triathlons on 5 Hawaiian Islands in 5 days. Day 1 is a 3.86 km ocean swim, 180 km ride and 42 km run held on the island of Kauai followed by an inter-island flight. Day 2 is another 3.86 km ocean swim, 180 km ride and 42 km run held on the island of Oahu followed by an inter-island flight. 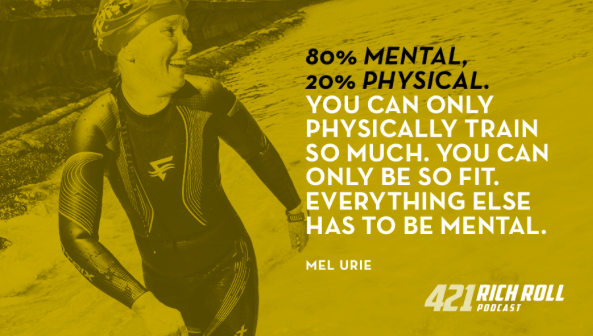 Day 3 is a 3.86 km ocean swim, 180 km ride and 42 km run held on the island of Molokai followed by an inter-island flight. Day 4 is another 3.86 km ocean swim, 180 km ride and 42 km run held on the island of Maui followed by an inter-island flight. Day 5 is a 3.86 km ocean swim, 180 km ride and 42 km run held on the Big Island of Hawaii. Rich Roll talks with American Danielle Grabol and Australian Melissa Urie about their individual journeys of rejuvination on his podcast here. Roll describes the two women as "the queens of the EPIC5" and they talk about "girl power grit". 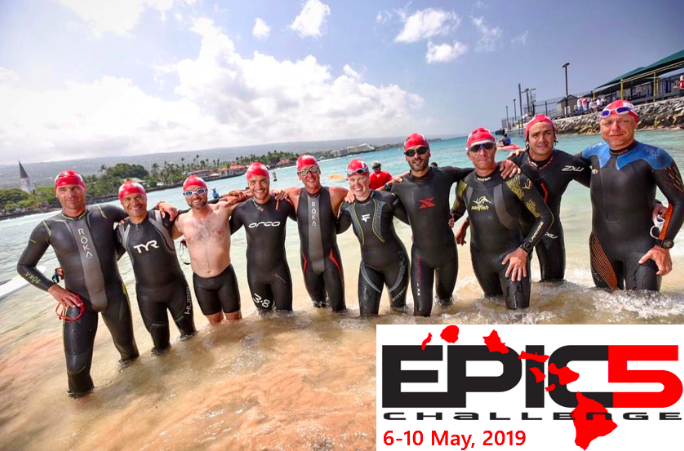 For more information or to register for the EPIC5 Challenge or the new EPICDECA, visit here.